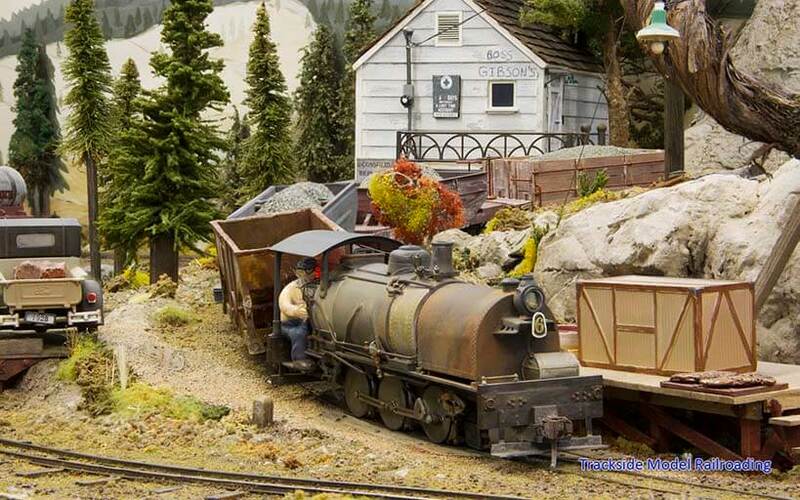 David Bond models the Never Come Never Go Railroad, a freelanced railroad based on the Nevada County Narrow Gauge and the Southern Pacific. On his layout, the two railroads merged and run Southern Pacific power to serve the mines and the logging industry in northeastern California. The NCNG is based in the late 1970s to early 1980s and features many scratch-built structures that David designed from photographs of the prototype that he took during that time period. 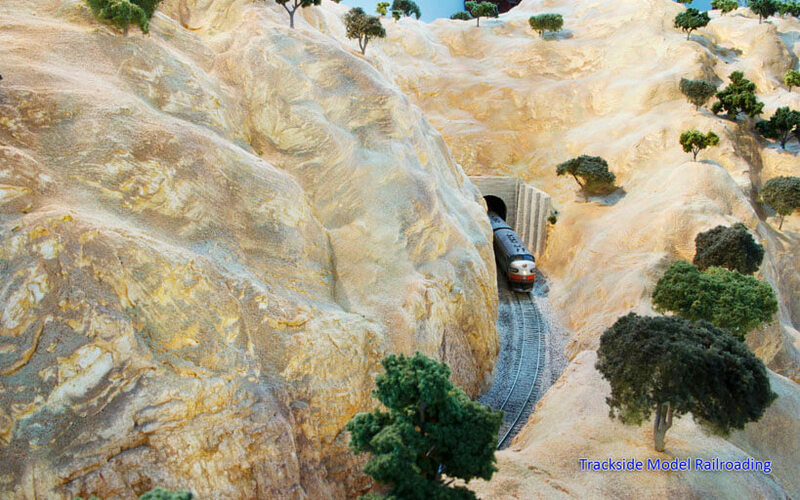 Southern Pacific fans should especially enjoy this layout. The feature includes an article, photographs, and a video. 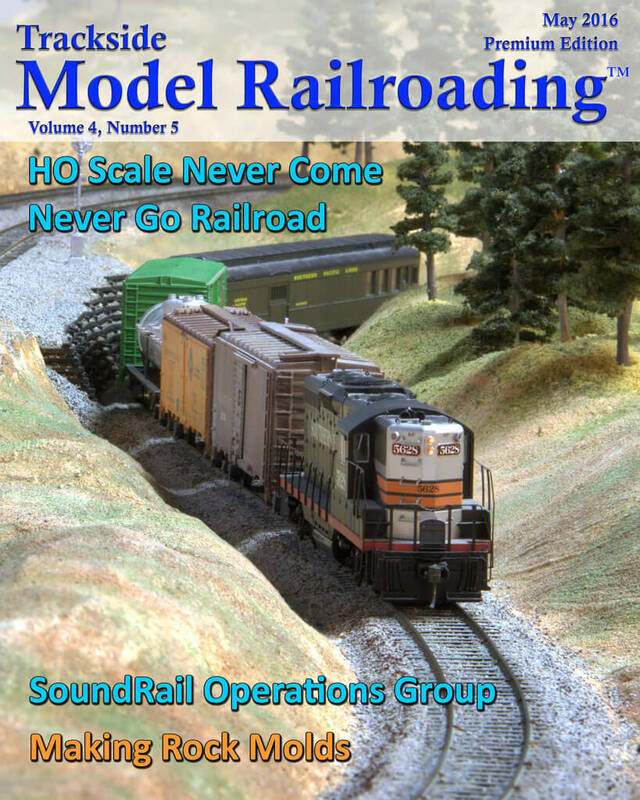 We deviate a little from our usual layout tours with this tour of Seattle area layouts participating with the SoundRail group, which is affiliated with the NMRA special interest group OPSIG. Get a close look at how these layout owners of various scales manage operations. 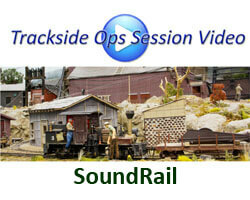 If you are considering starting or modifying operations on your own layout, this feature may give you some new ideas. Also, the SoundRail group is open to participants from all over the world and will operate again in March 2018. This month we show you how simple it is to make your own rock molds to cast plaster rocks for your layout. We will incorporate the rocks into the diorama project that we have been working on next month. This project is simple and can easily be completed by newer modelers.